By appreciating the discourse of ADR theories, we begin to understand that language and cultural norms shape both individual and group behavior bringing them into conflict with alternative cultures. In addition, dynamics that significantly influence understanding and reaction to a conflict occur because of gender, socioeconomic status, and race. In healthcare, we see all these factors combined with an effective hierarchical and authoritative sub cultural that dominates and frames the spectrum of conflicts, from simple miscommunication to the extremes of litigated disputes. Most of us approach conflict as a win – lose proposition instead of an integrative problem-solving collaboration, allowing us to work in concert with our opponent, improving both of our situations through a win-win proposition. As expected from studies on human nature, when we achieve success through hard work, we expect autonomy, respect and authority. Without contempt or condescension, we are entitled to social gratitude and recognition, taking pride in our own efforts, commitment and accomplishment. When we demand respect and authority however, we are perceived as positional, defensive, arrogant and authoritative. We often ignore the knowledge and experience of our personal and professional circle. Practically speaking, trying to reject the team concept of healthcare integration and preserve hierarchical authority based upon institutional achievement, is a threat to quality patient management. These behaviors are nearly universally rejected and constitute the foundation of dispute instigation in Medicine. Our willingness to be reflective in our own practice of communication and interaction with our colleagues at all levels of training is critical for our personal success, free from cognitive turmoil and dissonance, and in that success our professionalism will drive us to provide the highest quality of attentive patient care. narrative in medicine that aggressive positional behavior and demands, occurring all around us, no longer register in our mind as emotionally driven by adverse parties. The provider becomes numb and distant to the emotional impact conflict has on ourselves and our closest relationships, both professionally and personally, from our adaptation to the intense clinical work space. However, not everyone in this work place is equally insulated, so the emotional and visceral consequences of heated discussions, yelling, and angry debate influences and stresses many in the field. Likely, it is also subliminally affecting us and fueling our malaise, burnout and antipathy toward the profession of medicine. The apathy we feel over a day in clinic or responsive anger to the 11pm call to clarify an order is founded in the impact of these daily angry disputes. The conflict narrative causes replay event psychological fixation with our ever-improving clever positional responses, all disrupting peace of mind and a restful night’s sleep. At times this fixation is pathological, and we cannot quiet our mind and refocus our attention. We accept the dysthymic and depressive influence this has on our mood and behavior as we bury the distaste deep in our subconscious. These are fundamental conditions for post-traumatic stress disorder. “Our organization is suffering from the cancerous wrath of interpersonal conflict, back biting and unregulated angry discrimination that threatens our human resource infrastructure and compromises our ability to deliver superior safe patient care. Our mission statement is under attack and we must change the culture of organization, implementing several critical pathways to stem this non-physical work place violence.” The anger and negative attitudes present impediments to the organizations cohesive growth and the partnership we as healthcare professionals represent in shepherding the infirmed and their families through their healthcare crisis. We are collaterally victimizing the patient and their families as they look to us for professional medical care and compassionate understanding during their crisis. Instead we act in a self-serving and destructive manner when we fail to institute conflict management rules and techniques that demand everyone on our staff respect and create a harmonized work environment that is supportive, respectful, mindful and professional to their co-workers. Examples of nurses fighting, doctors arguing, or doctors belittling nurses, are all in direct disdain of quality care mandates and these recurring issues demand much needed management intervention to quickly deal with these quality improvement threats. Let us scientifically investigate the impact the effects of this hostile work environment. Referencing Maxfield et al work with the AORN and AACN on “The silent treatment.” we see the discussion on this 2010 study of 6500 nurses and nurse managers discussed the impact of compromised communication for any reason in the healthcare work environment. Hostility between personnel creates this miscommunication and prevents sharing critical patient data. As this study points out, “creating a culture where healthcare workers speak up…the study shows that healthcare professionals’ failure to raise the following three concerns when risks are known undermines the effectiveness of current safety tools: 1. Dangerous shortcuts 2. Incompetence 3. Disrespect.” So what we see in our personnel hostility is profound disrespect for each other and our system, when a failure to communicate puts patient safety directly in harm’s way. In addition, we must consider the tension created through unresolved interpersonal conflicts a form of lateral bullying and workplace violence. This issue is raised in several respectable journals and on-line resources. In 2004, Gerardi addressed this as a critical need in any work place and we must consider similar solutions within our hospital environment. He described the use of mediation techniques to identify conflict early and develop a plan to resolve it by “listening, re-framing the concerns raised, identifying commonalities and clearly defining decisions”. We have at our disposal several well tested dispute resolution techniques and several people within our organization trained or expressing a desire to be trained in this professional management role that our organization desperately needs. As Maxfield solutions suggest “… when it comes to creating healthy work environments that ensure optimal quality of care, individual skills and personal motivation won’t be enough to reduce harm and save lives unless speaking up is also supported by the social and structural elements within the organization. Changing entrenched behavior in healthcare organizations will require a multifaceted approach and, to this end, the authors provide a series of recommendations leaders can follow to improve people’s ability to hold crucial conversations.” We must adopt guidelines which are memorialized by employee contractual procedure and an institutional commitment at every level, from senior management to hospital personnel and provider-nursing communication. The doctrine we create and offer for ratification includes a methodology to identify and address access to our system of conflict management for the employees. Here, we outline for reporting abuse; a safe method to report this abuse and not suffer discrimination, retaliation, or termination; the methods our hospital will take to address this report and remedy the issue; the method of investigation of accusations and corrective education when abuse has occurred; and lastly, the follow up communication methods for the person reporting the initial issue. Indicate how the reporting person will receive information about the outcome of the abuse report. We have excellent opportunities to improve our healthcare delivery and minimize errors and omissions by supporting conflict management in healthcare. First, we must present a unified and cohesive action plan to the employees but allow them to embrace the concepts and add to the identification process and ideas for resolution of these conflicts as they will then recognize that each employee is a key stakeholder in this process. In particular when we quote communication statistics of Angermeier, et al and demonstrate how this will protect our patient while improving the atmosphere in their work environment, we are confident we can get them to buy into the need for this professional outlet and methodology. The opportunities inherent in a conflict management system include: recognition of conflict as an indicator to allow early identification of problems, promotion of a proactive response to problems and conflict, encouragement of a culture of mutual respect, open communication, and problem solving during inquiry or intervention relating to conflict, and a means of working towards potential resolution. The tenants of our management system will emphasize a willingness to acknowledge existence of conflict; open communication between all team members; dealing with conflict within an environment of mutual respect; acceptance and tolerance of different perspectives through the process; commitment to fundamental fairness; educating all stakeholders about conflict management in healthcare; continually reflecting on and modifying our policies and procedures with input from every employee stakeholders and then holding our employees accountable to use the conflict management process. In summary, we believe the JCHO mandate of 2009 demands we pay attention to these issues and that that the interpersonal conflict between our two nurses locked in angry avoidance exemplifies the difficulty our organization has with poor communication and this is a very real and present danger to our patients. We cannot tolerate this behavior and provide a safe and effective as well as compassionate work environment. We implore the administrative governing body to adopt techniques of conflict management into the professional training of every employee and make the training and surveillance of our organization in dispute supervision a top priority going forward. Although this post will reflect my bias, if not prejudice on effective mediation techniques, it is not my intention to represent strict adherence to one mode or method of conflict engagement, discounting significant benefits of a multi-modality approach required by the competent ADR professional. In fact, regardless of which style a practitioner adopts, each method should be strategically and tactically deployed under the auspices of a capable mediation practice. To concentrate one’s practice, on-going continuing medical education and limit one’s skill set, even when our comfort zone demonstrates a proclivity toward one style of mediation, is to compromise our own necessary academic pursuits. This results in an inferior professional skill set when we offer our services as dispute resolution specialists. Reflective insight, active listening, and creative engagement ensures that the disputants receive the superior services of a mediator with depth and breadth of skills to remain flexible and adaptive, providing elements of transformative, facilitative, and possibly narrative mediation techniques even when the concentration of efforts could be categorized as “evaluative methodology” from a subject matter expert. First, a brief synopsis of transformative and narrative mediation methodology. Both techniques assume that the fundamental relationship between disputing parties holds a relevant history and value to the opponents as one superordinate goal of mediation process, to maintain a relationship going forward. In fact, the benefits of both techniques, supervised by a third-party intermediary, might improve the relationships by primarily exposing and dispelling bias, attribution errors, and unresolved issues that tainted the association and contributed to the current conflict. The transformative approach to mediation focuses on the empowerment and mutual recognition of the worth in the individual and their opponent, rather than resolution of the immediate problem. Transformative mediators say that power and responsibility are the issues in a conflict, not settlement or compromise. Transformative Mediation focuses on empowering the relationship between people rather than simply the individuals themselves (as apart from any relationship). “Empowerment, according to Bush & Folger, means that the parties define their own issues and seek solutions on their own.” Empowerment does not mean power-balancing or redistribution, but rather, “increasing the skills of both sides to make better decisions for themselves” and for the “restoration to individuals of a sense of their own value and strength and their own capacity to handle life’s problems.” The mediator’s goals emphasize a mutually agreeable solution, but that is subjugated to enabling opponents to approach their current problem and potentially future problems with greater insight and empathy for the value in the relationship and perspective of their opponent. Thus the rapport focused experience presumes that an enhanced relationship with positive intent toward one’s opponent will result in tolerance and acceptance of their goals and interests and provide rich supportive context to future negotiation by trusting and valuing the affiliation. Based upon my understanding of trust building, transformative mediators seek to create an identification-based trust (IBT) between opponents, and that “trust at this advanced stage is also enhanced by a strong emotional bond between the parties, based on a sense of shared goals and values.” . Narrative Mediation differs fundamentally from transformative mediation and critically from evaluative mediation by altering the relational and emotional negative attribution one party has toward the other. The narrative model does not focus on problem oriented results or settlement. These are secondary benefits resulting from the parties altered storyline following revelation and perceptions facilitated by the mediator shepherding opponents through discovery of critical interests, experiences, and bias that formulate their perception of reality. Narrative mediation is grounded in the theory of social constructionism, which proposes that people are the “products of social processes” and that “much of what we know is hardwired into our psyches by the social and cultural world around us”. Opponents are influenced and manipulated by the conversations they experience that create opposing story-lines by different interpretation of truths and facts and non- synergistic interpretation results in dispute. Narrative mediation views conflict from the Winslade & Monk characteristic that “there is no single definable reality, but a great diversity in the ways we make meanings in our lives”. Thus, narrative mediation views conflict’s arising because parties misinterpret the truth and facts about any situation. Since our individual perspective might be as unique as our DNA, conflict is viewed as the almost inevitable byproduct of diversity, rather than as the result of the expression of personal needs or interests . Therefore, in narrative mediation, the mediator’s job is to alter the opponents’ perspective by gaining insight into the dispute and discovering alternative story lines that will isolate a dispute from the long term relationship that was positive and mutually beneficial. In summary, narrative mediation does not search for one true story, but welcomes competing story-lines and alternative story conclusions by deconstructing the current conflict and re-framing the perspective of both opponents for an integrative conflict understanding and possible conclusion. My personal orientation provides evaluative and directive mediation model to the medical practice and healthcare litigation disputes I am hired to mediate. The effective utilization of evaluative techniques complement my experience and skill set in healthcare delivery. Perhaps this is inevitable given my scientific and didactic approach to information, nature and the human psyche but this would be a superficial conclusion based upon my life’s work. As a consultant and subject matter expert, despite a conflict specialist’s fervent desire to explore the psycho-social issues that create conflict, I am convinced that most parties are seeking advice and resolution if they agree to private dispute mediation. Successful mediation must respect the goals of our clients which create the ethical mandate when contracting our services. Application of these techniques in healthcare medical liability dispute resolution favors the evaluative approach. The evaluative goals of problem-solving mediation concentrating on a mutually acceptable settlement of the dispute will require directing the investigative substance of the discussion, de-escalating the conflict through advisory consultation and controlling the step-wise process to determine if consensus and settlement is possible . As a physician utilizing the evaluative model of mediation, I am a nonclinical provider helping to understand and negotiate disputes within the healthcare system while supplanting my clinical orientation with an intermediary’s impartiality focusing on the likelihood of issue resolution in a fair and considerate agreement. My research on the evaluative mediation model quotes Leonard Riskin’s introduction of the terminology of “evaluative mediation” as distinct from “facilitative mediation”. The key features are that the mediator was to: urge/push parties to accept settlement; develop and propose the basis for settlement; predict how the court might decide the case; assess the strengths and weaknesses of each side’s case; and educate each party about their own interests. Thus in evaluative mediation, the mediator focuses on the parties legal rights with a problem oriented, solutions based advocacy which might persuade the parties to reach a settlement conclusion. The mediator structures the process and directly influences the outcome through education. It was Riskin himself who questioned if his “evaluative mediation” was mediation at all. In rebuttal, Stulberg wrote “only the mediator who adopts a suitably … facilitative orientation is in a position to ground an approach to problem solving…”, essentially implying that facilitative mediation and all mediations require evaluative methods, and in practice, it is a mute argument since evaluative methods, when properly analyzed, are indistinguishable from facilitative methods. As an evaluative mediator I am always enthusiastic toward the analytical sequencing and conference with disputants, encouraging negotiation, collecting alleged facts, evidence and arguments, and providing information, opinion and advice which is altered in tone, timing and content based upon the emotional and cognitive positional demands from either party. In my example of application of this technique, medical malpractice litigation, both parties have “substantive opinions” introduced from “dueling experts”. As an evaluative mediator, I am a process facilitator to the mediation, and have the potential to provide compelling advice to both parties based upon the theme of the dispute. In reality, it is rare that the parties involved in medical malpractice litigation have any desire to maintain a relationship after claims are made and defenses rendered. Thus, an evaluative process concentrating on conclusion benefits of alternative dispute resolution over adjudicative litigation likely meet the expectation of both parties in conflict. My mediation orientation as a medical expert provides a balanced approach to medical legal cases. The crux of the dispute is propaganda advocated from paid expert witnesses to challenge or support previous care provided to a plaintiff. The cases hinge on the “expert” paid for by the plaintiff or defense but the concepts of standards of care, critical to allegations of errors of omission or commission are often nebulous. My role as an ADR specialist provides a reflective approach to evaluative mediation. Cases are sought out by physicians wanting to ensure they have adequate neutral subject matter experts participating in the closed door caucus where a plaintiff is often over enthusiastic about the chances of a successful litigation. In the same vein, my expertise is sought by lawyers, hospitals and courts in order to provide the same balanced perspective to these processes and not just a legal bantering seen too often between lawyers and mediators with strictly legal back grounds. I confirm my non- bias impartiality by reminding the medical personnel that an egregious error, if compellingly argued by plaintiff’s experts, will be equally considered when making my recommendations and/or looking for solutions that require a third party intermediary. In fact, my role for years on medical boards and medical staff demanded harsh critical analysis of healthcare mistakes through the peer review process. I have witnessed the effect of inadequate regulations and the spectrum of mediocre care. With the maturation of the information age, patients are savvy consumers before and after treatment and challenging suboptimal and poor outcomes much more aggressively. With the glut of legal counsel available, disgruntled patients file claims, complain to medical boards, and with the prolonged process of litigation, the more entrenched they become in the victim’s role. As an evaluative mediator I examine the core medicine practiced relative to the plaintiff’s co- morbid medical issues and provide perspective on the likelihood of a strong plaintiff or defense argument. Hopefully in the third party position, I will truly understand through caucus communication if that plaintiff, as a patient, understood the risks and expectations of the care received as it is the providers responsibility that his/her former patient understood these issues. Contrasting the advantages and disadvantages of evaluative mediation, the benefits allows party interview which is not encumbered by discovery rules of alleged facts, evidence, and settlement ranges, which have not been disclosed as a litigation tactic . As a third-party neutral and subject matter expert, I might provide a fresh insight into how an outsider, such as a jury, would view aspects of the dispute when paid experts are advocating for opposite conclusion. That role as a subject matter expert should give credence to advice regarding negotiation ranges and settlement and provide justification for plaintiffs, healthcare providers and insurance company representatives to utilize alternative dispute resolution to conclude the claim. Alternatively, the disadvantages of evaluative mediation include the dismissal of potential repaired relationships and devaluing emotional and psychological catharsis found in the deeper psychoanalytical approaches to conflict resolution. It is highly probable that a successful monetary settlement will do anything to heal the wounds of distrust and even malevolence rendered between parties. The human psyche may be forever damaged with a default cynicism in their worldview outlook following these proceedings. It is imperative that both plaintiff and defendant are allowed the opportunities for catharsis, empathy and peace building even if the focus is on a distributed demand encouraged by representative lawyers focused on economic gain. A quote from Craig Pollock coins my interests “..one well known mediator, the late David Shapiro, was known to argue that the major difficulty he encountered with party representatives was their tendency to “fall in love with their own case” and the job of the evaluative mediator was to break up the love affair.” All too often I have witnessed emotion and dispositional demands flamed by a malevolent legal representative that prevents the interests, needs and ultimate psychologically stabilizing conclusion to a dispute. As a physician, I believe my focus on healing the effects of the human condition and temperament provides a welcome alternative to the legal authorities that dominate these alternative dispute resolution roles. As a clinician for 30 years my entire world has been managing the physician-patient relationship. On one hand, I have to be a scientist and apply all the technical knowledge about disease management, while in the other, a compassionate salesman, convincing often frightened and wary patients any families to trust my skilled hands after just a few meetings in the safe surrounds of the outpatient clinic or hospital, when they are still conscious and can process what I am saying; experiencing all of the fear and trepidation associated with this conversation. My skills in negotiation really come from doing pediatric neurosurgery (as a necessity, not on purpose), for if there is ever a time when conversations require delicate conflict management skills, it is with parents of sick children. The quick response of anger and hostility when the clinical course is not just perfect, or even when the diagnosis is poor and the family projects their anger and disbelief on to the healthcare providers, as if we caused the disease. All of these incidence require a calm understanding of the situational extreme emotional, visceral, hind brain response that is fueled from adrenaline laced with some unknown bio-reactant that only a strong benzodiazepine (valium) can calm. During my 30 year neurosurgery career, I witnessed every type of healthcare conflict, disclosure and participated as expert and defendant in litigation, medical board battles and business disputes. The communication system in Medicine is so broken, beyond the public adversarial disputes. The strained discourse between colleagues is worse than the Provider -patient interaction. Escalation in adversarial posturing is merely a reflection of the painful administrative oppression that healthcare providers endure from every type of regulatory agency, peers and law firms. These all are quick to accuse and constantly put providers on their highest guard. I doubt many providers are actually dispassionate but the walls to protect and preserve their emotional sanity keep expressions of compassion deeply suppressed behind the armor that required to survive the turmoil of clinical practice. What we study, the dysfunctional provider-patient discord, is just a byproduct of a larger system that fosters anxiety and fear in the very providers trusted to address the emergencies of physical and psychological disease and discord that bring patients to our clinics and emergency rooms. As Chen points out “Not surprisingly, those patients with the strongest relationships to specific primary care physicians … had a greater influence on the kind of preventive care received” which is really about “patient’s ability to have a longstanding relationship with a doctor, to have a doctor who knows him or her as a human being.” (Chen). But if that relationship is continually threatened by outside influences that punish the provider or make the provider wary about getting close to the patients and disclosing the fragility and dilemma of humanism and the potential for error or with treatments that don’t resolve the issue, how does a provider accomplish the compassion advocated by the Schwartz Center’s theme of compassion as a cornerstone of medical care? Providers fear for their own professional health and security. The provider is under constant attack. The ADR input is often manifest by the medical ombudsman. This provides a clear pathway on ADR skill adaptation for the healthcare providers and to me, presents a very cogent ‘job description’ that will allow me to change hats when working on this aspect of the ADR professional offering. Houk and Amerson paper on the role of apology illustrates the Ombudsman duties quite well and I could really identify with Dr. Greene, the cardiothoracic surgeon who, as the Captain of the ship, continued to provide the family of the lost boy with the information they needed for closure. “..In light of the lengthy relationship Dr. Greene had established providing Joey’s medical care, he would be the one to disclose the facts surrounding the medical error” ( Houk). The message was clear here, the provider-doctor and surgeon, is expected to have the closest relationship with the family, have trust and compassion and therefore best suited to lead the conversation, within the ADR guidelines, to inform the distraught family. The dichotomy is that surgeons, because of time, higher litigation exposure, personality (disorder in my case), are probably the least sensitive of all providers to the social and psychological nuances that go into having these difficult conversations. Not that they are afraid or purposely insensitive, but usually because delivering bad news is part of the job. Considering the information and context for these delicate adverse outcome conversations, I would probably concentrate on the surgeons’ approach and how they will interact with the family and less about what they are actually going to say. Lastly, the Kaiser Model and well known medical ADR persona, Dorothy Tarrant nicely summarized the roles and responsibilities of ADR in medical organizations. Quoting her daily duties “I assist patients and providers by helping them to work together to address their needs and interests. This includes acting to fairly resolve healthcare issues, disputes and conflicts by acting as a neutral, independent and confidential resource for patients, families and providers. It is the job of the HCOM to understand the dynamics of patient-provider communication and the relational aspects of dispute resolution…”; this templates the best practices expected to facilitate the doctor-patient relationship communication necessary to heal the patient when distressed from adverse clinical outcomes. I would only add to this from my administrative roles as prior chairman of surgery and prior member of credentialing and peer review quality assurance committees, by pointing out that the consultant or in-house ADR health care liaison should take the time to establish a relationship with the healthcare providers and have a high enough profile to seek out and establish relationships with both nurses and doctors to understand the culture and personalities of the medical “player” at an institution. There are often physicians seen as disruptive with poor relationships to the administration of the hospital, so despite who is paying the ADR professionals salary, the role must appear and services executed as a neutral independent that will not report conversations to hospitals legal department or maintain insider information that the administrators could leverage against the doctor or nurse in future negotiations. In essence, the providers must trust the ADR facilitator/mediator/coach first, when not under duress, to improve both education and functional outcome when a specific patient-provider conflict arises. I am taking the position in this post of the health care Provider and assume that there is an impression of medical malpractice because of an adverse outcome or a perceived mistake. I have been there and the feeling is horrific. Need one – Reiterative education. People grasp at straws and ignore possible adverse outcomes when they think there is a chance they can be better, less pain and restorative function. Even when risks or percentages are discussed, there is an expectation through hope that the receiving person and their family will never be affected by the adverse outcome or complication and will always prevail against the odds. We have a saying in surgery – the informed consent just keeps you out of jail for assault, it doesn’t not protect the provider from liability. So need number one is focused education instead of what in litigation is called ‘discovery’ in which every arcane piece of information is used by plaintiff’s attorneys in order to impugn a hospital, provider or nurse, that has nothing to do with the facts or issues around a case. A neutral evaluator with access to same specialty consultation or real time quick response ‘peer review’ would listen to the issue/patient complaint and process is it quickly through local expert channels (physician, nursing, therapy, admin), discussed the perceived mistake by the patient/family and schedule a rapid response conference with the affected party. The treating provider must attend as part of their credentialing requirements. This not only spurs communication, but understanding. From my specialty perspective, this would be enormously helpful since no matter how much one tries to explain issues to patients, there are profound unrealistic expectations and when patient’s don’t get “the results they paid for” (pain free and 21 again), animosity flourishes. Need two – Keep it in the healthcare community. The litigation process is public and acrimonious and there is no presumption of innocence on the healthcare provider team. A public accusation universally leads to finger pointing and blame within the healthcare system (lawyers love this), permanent distrust and feelings of hostility between all parties. There is a profound reflexive defensive mechanism that further alienates providers (doctors and nurses) from their supposed support communities during this time so attempting to get providers to apologies and work with Q/A once a public attack has occurred is unlikely. An ADR process that stems from point number one and does identify mistakes from a systems perspective and not just the providers fault, would encourage interaction with all staff, admission of responsibility and participation on a private resolution. There really is no need to drag healthcare providers into the public eye if mistakes are made. The internal peer review process and hospital credentialing oversight can be fairly draconian, so repeat offenders, in a functioning system, will lose their privileges long before public censure has any effect. Need three – Litigation pays the lawyers and experts first and the victims get the leftovers. With a 40% fee PLUS process costs, including experts running into the tens of thousands of dollars, injured parties get much less compensation than they think. The ADR process would reallocate a settlement to the victims and dramatically reduce the “valuation” of those settlements. Although plaintiff attorney’s favorite key stroke are the zeros they keep adding onto the claim for damages, the actual court system, awards, judgments and settlements don’t really see it that way. The needs for safety, apology, and elimination of financial burden to fix a problem, are never achieved through litigation. Ultimately, a few years down the line, the plaintiff/patient might receive a check, but statistics show that reasonably good plaintiff’s lawyers take 4-6% of the cases brought to them, send those for expert reviews and of that group, only process 50-75% by a claim made against the provider or hospital. The magic number here is the other 94-96% of patients or families that are disgruntles and looking for lawyers because they think they have been harmed or been injured from medical negligence. An effective ADR system within a hospital would encourage investigation of every complaint and issue, not just quickly processed by an Admin person to assess what the hospital is at risk for, but actually go back to my first point and resolve the issue, if it can be by this format of staff-patient interaction. Healthcare professionals must understand trends in medicine that arise from adversarial positioning. The classic need for formal legal representation in court adjudication of disputes from policy, contract, and personal injury/medical malpractice cases are shifting away from exclusive judicial court environment. There is a significant increase in private and binding dispute management using arbitration or its variances such as mini-trials, early neutral evaluation, case management during judicial settlement conferences, and moderated court required settlement conferences. These legal procedures have significant influence over our professional and personal lives when we are drawn into these adversarial disputes. Routinely, healthcare partnerships, administration and care delivery are now governed by arbitration clauses for disgruntled parties. It is profoundly dangerous for any healthcare provider to ignore or dismiss their risks and exposure in these private litigated disputes. Boilerplate language in arbitration clauses that do not carefully define this private process, freely entered into by both parties long before a dispute arises, eliminates many of the procedural protections ensured through the traditional court system with judicial authority regulating the process. 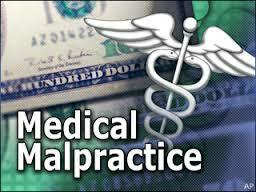 A simple example is past medical malpractice claims or suits having influence on a current malpractice defense. In the judicial setting, it is extremely rare for a judge to allow past claims or perceived mis-deeds by the plaintiff as evidence in a current dispute. In arbitration, in which no jury is present, you have ONLY a single privately paid lawyer or retired judge sitting as the sole purveyor over the dispute. They openly receive this “evidence” and will likely be influenced by the past record of a hospital or the healthcare providers. Even when defense objects, the plaintiff parties can enter evidence as “judicial notice” prejudicing the Arbitrator and strengthening a weak liability claim. Previous case exposure, complaints, and social media assassinations are easily introduced without restriction, damaging the providers reputation and adversely influencing an arbitrator trained only in the legal profession. In distinction, the traditional litigated court system with its federal rules of evidence is far more restrictive and protective, limiting a jury to the facts presented only in that case. Arbitration is not a jury of one’s peers. Instead it is a contest between the skills of articulate lawyers that weave a distorted narrative. 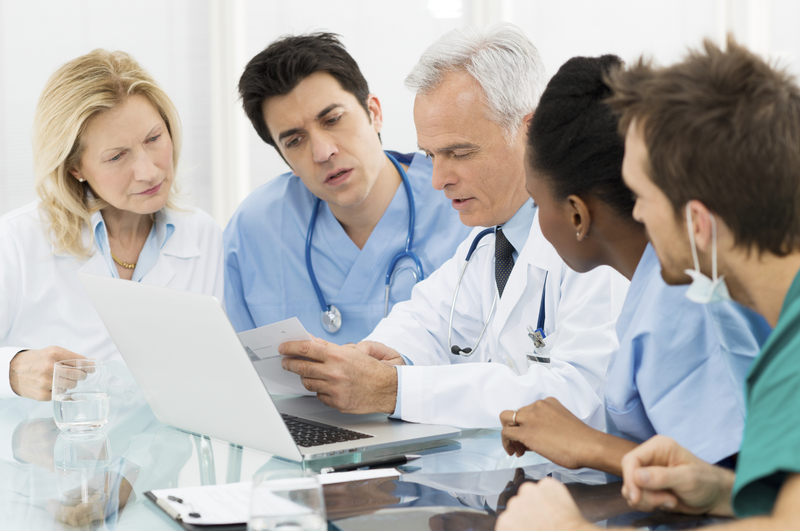 Therefore, healthcare providers must become educated in these alternative dispute resolution options. As more healthcare providers become co-arbitrators the influence of the legal profession controlling this private adjudication of disputes will balance and evolve into a fair consideration of evidence and facts. 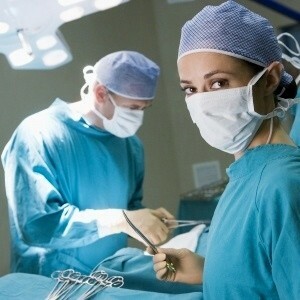 Healthcare providers are considered arbitration specialists with subject matter medical expertise and should provide an objective voice while mediating or arbitrating these dispute resolution proceedings. The shift toward mediation and arbitration in healthcare dispute management must be approached with great caution. As our professional roles evolve, it is imperative that healthcare professionals take on roles and responsibilities that allow them access to dispute management. The need for the medical subject matter expert to understand and weigh the relevance of the facts and expert testimony is critical. New publication! Click to download your copy now! © Copyright 2018 Medport publishing. All Rights Reserved.